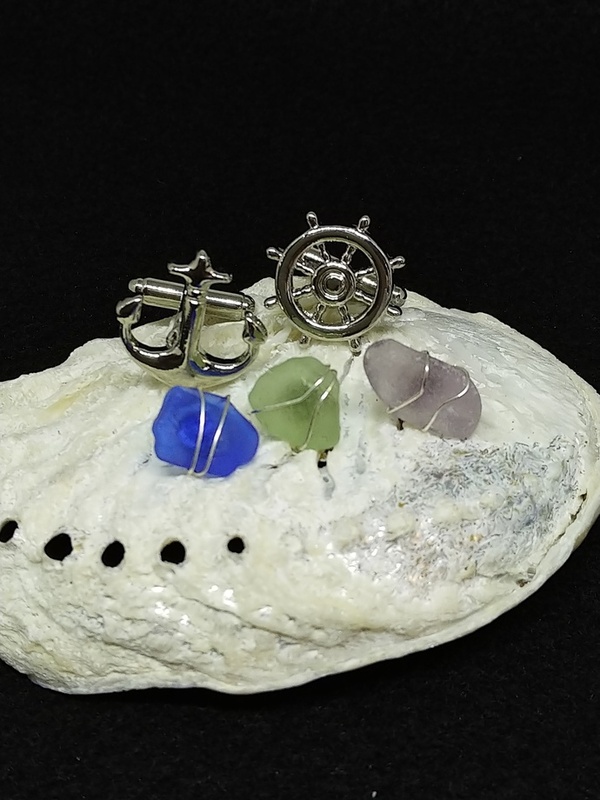 Showcase your impeccable good taste and love of the sea with this seafaring set from Beachcombers Baubles! Exquisite sea glass gems in shades of cornflower blue, seafoam green and lively lavender have been wrapped in sterling silver for a subtle touch of elegance. Stainless steel cufflinks feature a charming nautical motif with an anchor and ship's steering wheel and measure approximately 1/2 inch x 1/2 inch. Cufflinks and set of three (3) tie tacks will arrive prepackaged in an elegant organza jewelry pouch for effortless and gracious gift-giving. Shipping is calculated on first item only. All additional items ship for FREE! 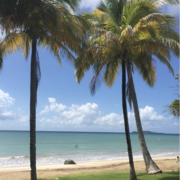 Order today and treat yourself or your favorite sailor to a little piece of paradise.